Before there were the Clone Wars or Rebels cartoon shows, LucasFlim decided to produce two new animated cartoon shows with help from Canadian company Nelvana; The Droids and Ewoks Adventure Hour. The shows originally aired on ABC in 1985 as an hour block, and each show was separate and focusing on its on story and set of characters. The goal for LucasFilm was to cater the show towards the younger audience, however naturally older Star Wars fans watched the shows too. Unfortunately the plot for Droids changes too often, and the Star Wars interest was dwindling after the release of Return of the Jedi. There was no foreseeable future for the Star Wars franchise, and these cartoons ratings took a huge hit. 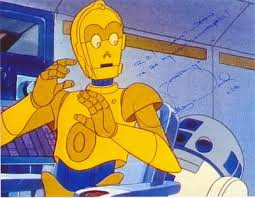 The Droids animated cartoon only lasted 13 episodes and was quickly cancelled, while the Ewoks show had a second season, at which point was revamped to gear more towards the preschool audience. 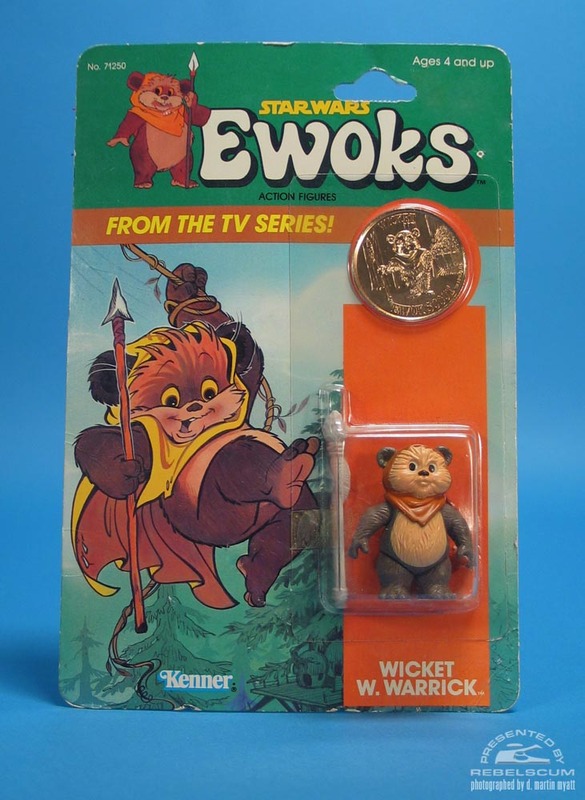 By 1986 the Ewoks show was cancelled as well. Both shows lived on through various VHS releases, and in 2004 they were released with on DVD with very little fanfare. 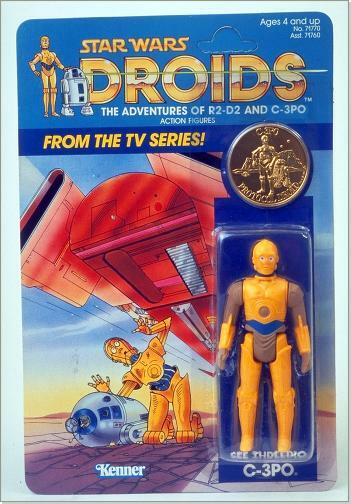 During the initial airing of both Droids and Ewoks LucasFilm did license both series for merchandise, and it was Kenner that released figures for both series. These 3 3/4″ figures are highly detailed, but unfortunately were released at the very tail end the original figure run. These figures initially retailed for $2.99, and today are some of the more expensive “vintage figures” to find today. It should be noted that both the A-Wing Pilot and Boba Fett were repacks from the original Star Wars Kenner line, and that both C-3PO and R2-D2 were both retooled with a very cool and unique cartoon look. The figures were extremely detailed for the time, and each came with a coin like the original Power of the Force line did. Vix was going to be released, but was never officially released in North America or Europe, however was released in Brazil by the toy company Glasslite. In 1986 Kenner’s toy catalog did feature nine new figures, but they were never released. 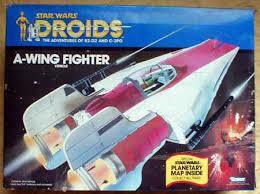 The Droids series also featured three original vehicles in the line: A-Wing (first time released, and only available in this line), ATL Interceptor and Side Gunner. Overall the line lives on through collectors, and although they didn’t sell well initially, they really do show off how far Kenner had gone with detail from the initial first Star Wars figures released in 1978, to these final figures. There was other toy merchandise released for both shows including plushes and an Ewoks toy line geared towards preschoolers. 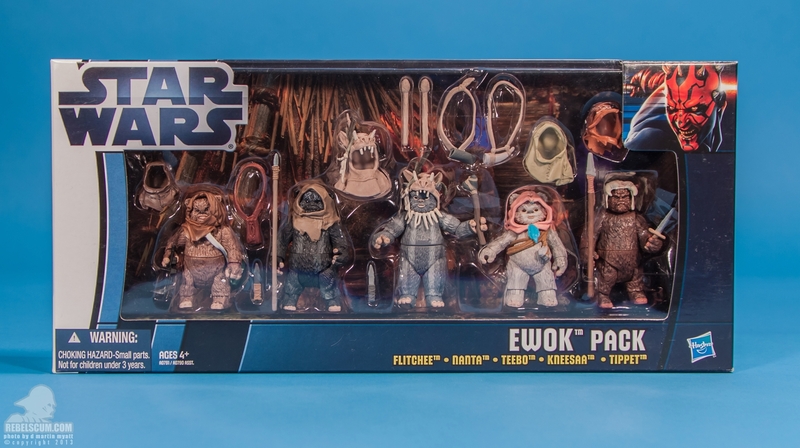 In 2012 Hasbro released a Toys R Us exclusive Ewok set that included five Ewoks, one of whom was Kneesaa who was the female Ewok from the Ewoks cartoon show. Do you have any of these figures? What do you think of these toy lines? Leave comment below and let us know. Some pictures are from rebelscum.com. For more photos check out Rebelsum.com here.